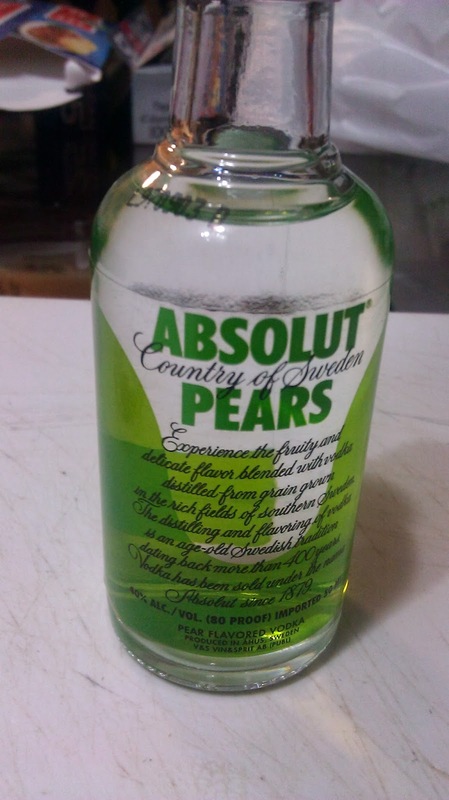 Come-pear-ing these five types of Absolut vodka has been taking longer than I expected. In any event there is certainly two left, including this one. I bring you Absolut Pear. No one is quite sure why pear was selected. It's not terribly common of a purchase of any of the fruits. It's quite rare for me to see anyone eating a pear too. Yet here we are. 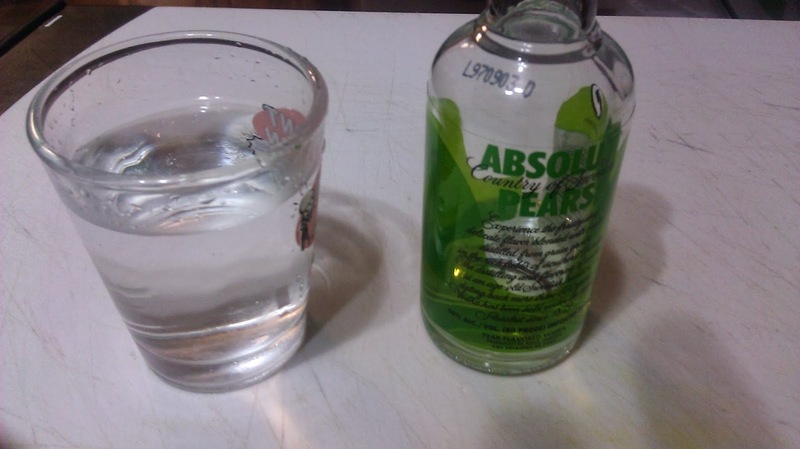 The drink is quite simple, and light. It's clear, and far from sweet. It's okay to use, but it doesn't really stand by itself in any regards. 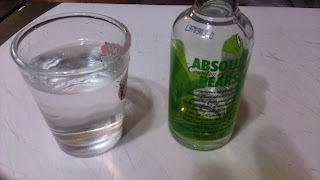 Since it doesn't have a major flavour punch, it needs to be mixed with something else.